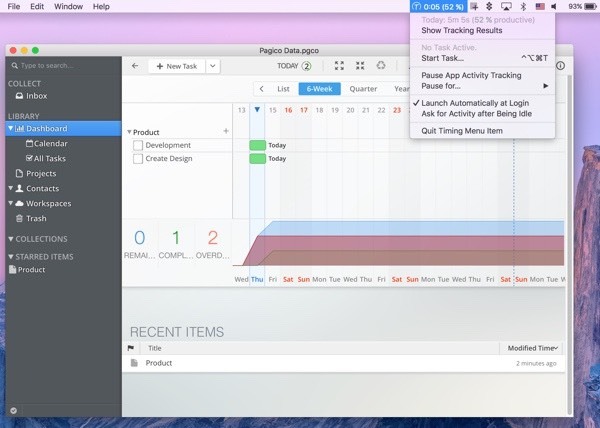 Release planning is now essential for successfully launching an app. In the early days, when apps and smartphones weren't as common, you didn’t have as much competition. Now you are competing against 2.8 million Android and 2.2 million Apple apps, on the world’s most popular app stores. "If you aren’t embarrassed by the first version of your product, you shipped too late." However, at the same time, you don't want to release an app that’s so bad you struggle to gain any traction, or ultimately, need to give up - wasting a lot of money and time. Entrepreneurs and app developers need feedback loops to iterate and improve products. But there is a fine line between feedback and criticism from people who will delete your app, tell others about their bad experience and never give you a second chance. Careful release planning ensures a new product release goes smoothly, bringing together internal and external (pre-release, beta users) feedback loops and giving managers/co-founders a concise birds-eye view of the product feature delivery and release timetable. Putting together a release plan for an app avoids everyone in the team tripping over themselves during the build, test, pre-launch and launch phases of app development. Coming up with dozens of great ideas for features, or accumulating hundreds of suggestions from potential customers is all well and good, but it won’t guarantee a successful product release. Let’s work backwards from the launch date. Start with the problem, your “what”? What problem are you trying to solve? Is this something you’ve personally experienced, or is this tackling a problem you are aware of but haven't personally experienced? The more you know about the problem, the easier you will find creating a solution that people want/need. Ideally, you want a solution people will pay for, or that can be monetized in other ways. When you have that, you’ve got a business, instead of a costly hobby project. Working out how you are going to solve the problem means accumulating ideas and feedback. It will probably help you to document this in an app or two. Start with a note taking app, such as GoodTask, to make a checklist of everything you need to consider during the ideation, market research and planning stage. 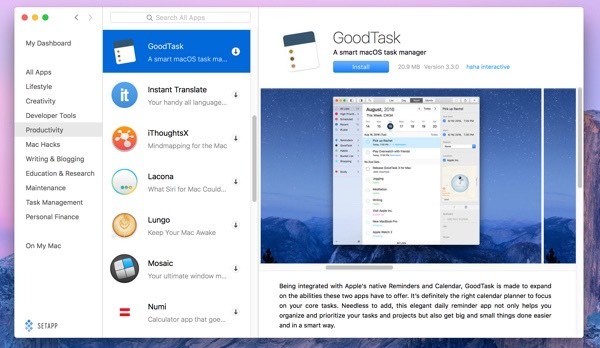 GoodTask, which you can download with dozens of other hugely useful release planning apps from Setapp, is also invaluable during every phase of the software release planning process. Now you should have a clear idea of the features you want to build in version 1; the version that you release as a Beta app. Next, create an MVP (minimum viable product), or at a minimum, a wireframe or interactive wireframe, so that you’ve got a way of demonstrating what you are trying to accomplish. MVPs and interactive wireframes also make it easier to attract potential co-founders, even investors. With this and a clearer idea of the resources, talent and time you can throw at the release planning journey, you can get started. What to Consider Before Developing An App? During the ideation phase, you need to consider the potential size of the market. Approximately, how many people or companies might want your app? Has anyone else already released something similar? It isn’t a bad sign if that is the case, since it shows a market exists, especially if they received Angel or VC funding. On a practical level, if you are confident a market exists and the solution can be monetized, then once you have an MVP (or interactive wireframe mockup), you need to consider the resources, talent and time you have at your disposal. Try and be realistic. Most people can’t throw 40 hours a week at a project if they are already working full-time. Realism is crucial when release planning, as you need to estimate the number of hours to put into development, modifications, testing, iterations and pre-release marketing. Don't work out the hours it’s going to take to build an app without factoring marketing into your software release plan. Work backwards from an estimated beta and full public launch date, with every conceivable action factored into your software release checklist. It all depends on the resources, talent and time you have: It could take six months from start to finish, or it could take over a year from idea to launch. Stay focused, which is easier to do when you are using Be Focused, a time management app that uses psychology to keep you focused. You are also going to need Pagico, a great way to manage complex projects, alongside Timing, to see what is taking the most time during the project and find ways to improve efficiencies and processes. All of these can be yours thanks to Setapp, alongside dozens of other useful apps for software release planning and project management. Why Apps Fail: How Can You Avoid Costly App Failure? Wasted time kills more apps than poor app store reviews. Wasting time building features no one needs, or not enough people are going to need and pay for. Wasting time worrying about the wrong issues and not focusing on customer needs is the quickest route to failure. Keeping an app idea under wraps, in secret, instead of interacting with potential customers online and in-person during the product pre-release timetable is another short route to a lot of wasted time and money. The sooner you tell people about your product, even while it’s being built, the sooner you are going to have a list of beta users and in time, potential paying customers. Successful apps don't launch every day. Unsuccessful apps launch and no one hears about them again, and most of the time it’s because they didn’t invest enough time and energy in marketing the product during the software release plan. Marketing and promotional activities, including getting feedback and making iterations is an essential item you need to keep on your weekly software release checklist. Without customers, your app will remain an expensive hobby, not a business you can build and scale. Explore Setapp today: The first subscription for Mac apps. Get all the apps you need in a single subscription. No ads or in-app purchases. And the collection keeps growing. Find out more.